1501 Bayshore Boulevard, Tampa, FL.| MLS# T3152910 | Westchase Real Estate - Westchase FL Homes For Sale - Westchase Local Experts. 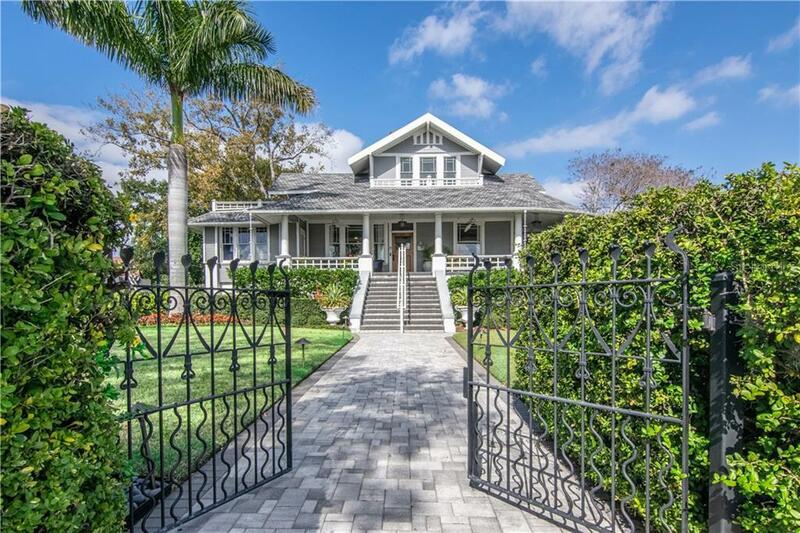 This charming mansion on Bayshore Blvd has been redefined w/21st Century amenities. Sitting high & dry on a corner lot with views of the water from almost every room, this family compound has it all: meticulously renovated rooms & systems, a gorgeous pool, parking for 6 cars, apartment for live in help & a 2080 ft guesthouse. Enter through the award-winning yard & open the door to a grand foyer with a fireplace. The main spaces & the enclosed sunrm and office all open to the foyer for perfect party flow. Beautiful cherry floors, 10' cove ceilings & exquisite woodwork retain the historic charm throughout. The large kitchen is open to a bright family rm, both w/spectacular views of the water. Completely renovated in 2015, the luxury appliances make cooking & serving a joy. Sweeping staircase takes you to the second floor where you will find the 4 onsuite bedrms. The 1200 sq ft master suite has 3 walk-in closets, a spacious seating area & a bathroom complete with a giant sunken tub & large shower. This elegant estate includes courtyards, terraces & a new 40 ft. gunite saltwater heated pool to take advantage of the outdoors. New water & sewer lines & extensive drainage work prevents flooding even in the heaviest storms. Directly in front of the Bayshore Boulevard promenade, a short stroll to Hyde Park Village & minutes away from Downtown Tampa & both interstate roadways. Home is being sold in addition/with parcel at 1013 S Oregon-Tax ID#186871-0000. Price well under current market!